Looking to work up a sweat or find other sports enthusiast nearby? With more than 30 state-of-the-art venues including ice rinks, indoor pools, golf courses, polo clubs and athletic fields – with nearby hotels and restaurants offering group discount rates – no event is too big or too small for the athletic venues in Montgomery County, Maryland. 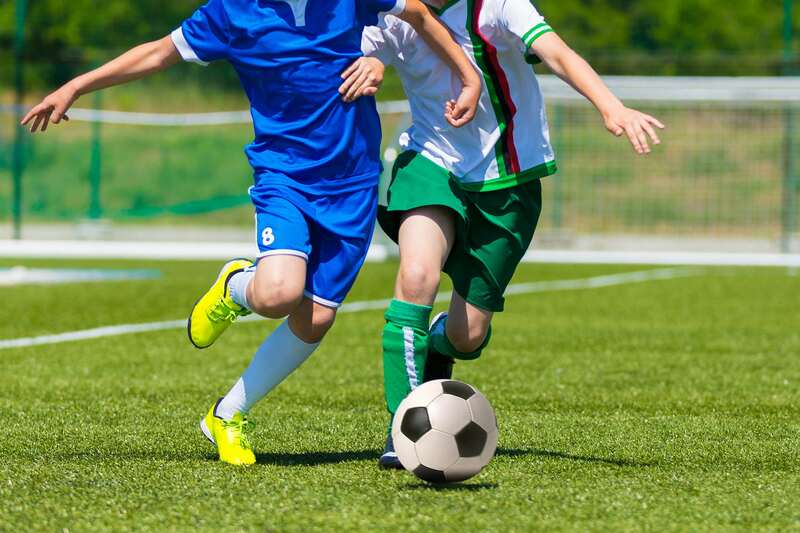 Located in Germantown, the Maryland SoccerPlex welcomes more than 650,000 visitors each year. As Montgomery County’s largest premier multi-sport facility, it hosts more than 5,000 local soccer clubs and league matches annually. Teams from all over the country come to the SoccerPlex to participate in some of the most competitive youth soccer tournaments in the country. The facility has 21 natural grass fields, three artificial fields, eight indoor basketball courts and many other amenities within the walls of the 66,000 square-foot indoor sports complex. Golf remains one of the most popular activities that Montgomery County has to offer. Golf enthusiasts have the option to choose from at least nine public courses and 22 private courses. There are also plenty of country clubs and tournaments for competitors and fans of all levels. Shouldn’t you “bowlmor?” Bowlmor Lanes is more than just your average bowling alley. The lanes located in Bethesda have been the Washington, DC area’s premier upscale bowling alley. Take a break from routine; gather with family and friends where sophistication meets fun at Pinstipes. Rival coworkers in a game of bocce or lace up the bowling shoes in our grand rendition of the classic American pastime. Plush seating and professional, game-side food and beverage service invite you to connect, play, and change your frame of mind. Montgomery County is home to some of the best swimming programs on the East Coast. With seven outdoor pools, four indoor swim centers and a spray pool, Montgomery County Recreation offers year-round aquatics for beginners, youth, adults, fitness, competition, safety training and rehabilitation. To make things even better, the recreation center also offers an annual day for dogs in the pool! Even the 2012 U.S. Olympic Diving Team had their fun when they practiced at the Montgomery County Aquatic Center in North Bethesda before traveling to London for the Summer Olympics! Outdoor ice skating is a fun winter activity to spend with the family. Enjoy some classic outdoor ice skating at Montgomery County’s ice rinks in Downtown Silver Spring and Rockville Town Square. Located at Veterans’ Plaza, the outdoor Silver Spring Ice Skating Rink is surrounded by great restaurants, shops, and plenty of parking making it a convenient location for the Washington Metro area. Looking for something closer to the Rockville area? The Rockville Town Square ice rink is the largest outdoor ice skating rink between Baltimore and Washington DC. It is the largest in all of Montgomery measuring at 7,200 square feet. If outdoor skating isn’t your thing, you can always check out Cabin John Ice Rink. Located in Cabin John Regional Park, Cabin John Ice Rink is one of two indoor skating facilities in Montgomery Parks. Open year round, the facility offers a wide range of ice skating and ice hockey classes and camps for all ages and skill levels, as well as special events and skating exhibitions throughout the year.